QuickDraw in ArcPad allows you to toggle between your existing, complex symbology and a coarse, black and white representation of your data. Using QuickDraw can give you a distraction-free editing environment and speed up the drawing of your map. Simplifying your symbology and showing less data will also help your project to run on low memory devices. QuickDraw can be activated by selecting the Blue Rocket on the Browse Toolbar. A small QuickDraw icon will appear in the lower left-hand corner of your screen to indicate that QuickDraw has been activated. When ArcPad is experiencing low memory issues, QuickDraw will be activated automatically as a memory saving measure. QuickDraw Coarseness is set using a sliding scale in Advanced Settings on the Display Quality Tab. Left most on the scale is 'normal detail'. If the slide bar is moved all the way to the left, no change in resolution will be seen when QuickDraw is selected. As you move the slide bar to the right, the map resolution will become progressively coarser. E.g. As the slider moves one step to the right, the map will display at ½ the resolution, the next step displays at ¼ resolution etc. The QuickDraw Coarseness Settings will be applied to all layers in the map that have QuickDraw set to ‘ON’. You can customise the QuickDraw Settings for each layer in the Table of Contents. The QuickDraw icon appears at the top of the column and the Default Settings are ‘OFF’ (empty checkbox) for the GPS Tracklog and Map Grid and ‘ON’ (black and white icon) for every other layer in the map. Tapping the checkbox next to GPS Tracklog and Map Grid will turn QuickDraw ‘ON’ for these layers. Tapping the checkbox next to any other layer in the map will turn QuickDraw ‘OFF’ (coloured icon) so that the layer will draw in full when QuickDraw is activated. Tapping the checkbox again (empty checkbox) means that the layer will NOT DRAW when QuickDraw is activated. Layers selected for editing will be drawn in full when QuickDraw is activated. A GIS is useless without data and equally as useless with bad data, so when collecting/editing data in the field you want to make sure that there is as much quality control as possible to provide the best platform for analysis/reporting/budgeting or whatever the tasks may be. Many people associate ArcPad as a high end data collection application because of the vast GPS configurations and ability to control GPS quality collection. However the attributes (or information) associated with that position are just as critical. 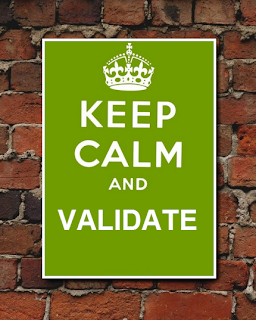 ArcPad actually has a very fine grain approach to data validation that can build upon the standard Geodatabase rules. As a GIS team leader I want to have a high level of confidence that the data collected and ultimately published to a wider audience is truthful at the time of collection because business decisions and operating costs will depend on it. As a small team we don’t have the time or resources to run QA after the fact, so it has to be correct when the user presses OK! Verify no “null” entries exist. Check calculated fields have reasonable results (no negative values). Make you recollect the geometry of a point if the PDOP was too high (>3.4) . The order you collect data on a form. Check the geometry of a point is inside a polygon before you enter data on a form (DIY Topology). Verify that there are no spaces or numeric characters in a text box. Disable custom tools because of the data you are using. 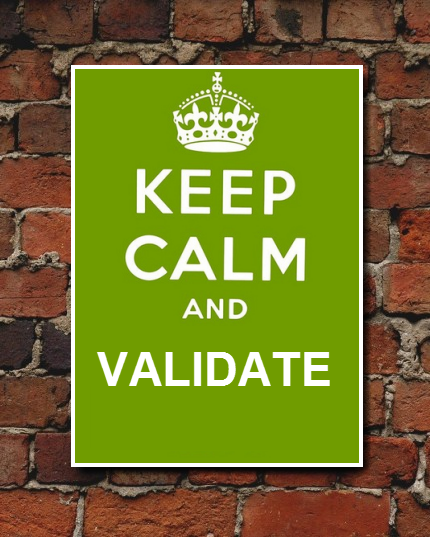 Via scripting you can enhance the in-field quality assurance by setting validation rules against pages and data controls. The ThisEvent.Result property that is vital to all validation techniques. Also you need to set your routine to execute on an onValidate event of a control or page. But first, what is the ThisEvent object I hear you say? The ThisEvent object represents an ArcPad event that is occurring at a particular time and supplies a series of standard properties such as object, name and result– analogy time. A person is an object. It has properties such as NAME, AGE and GENDER. It also has events such as TALK, RUN and SIT. However, using the ThisEvent object exposes that the RUN event has properties: DIRECTION and SPEED. So every time the person runs we can tell how fast they are going. This routine needs to be set to the control textBoxNames’ event - onValidate. This means that when the user presses OK on the form, it will check the value to see if it has a blank entry and if it does, an alert will pop up and keep the form open to amend. Oh and one of the best things about this is that it works the same on Shapefiles as it does with AXF layers. It is important to note that every page control has an OnValidate event so you could have a myriad of tests run. You can even run a test at the page level so you run one routine and loop through every control to make sure it is true and correct. As you develop your own quality tests you will probably notice there are many similar scenarios across projects and in fact you can use the ThisEvent object to help generalize/repurpose scripts but you’ll have to wait for another blog to learn about that. OpenStreetMap s a collaborative project to create a free editable map of the world. This includes a massive community of OpenStreetMap Contributors collecting spatial data in their local area to include in the project. It is easy for anybody to get involved and begin to make contributions, see the OpenStreetMap Beginner's Guide for more information. As professional field data collection software, ArcPad is a great tool for collecting and editing OpenStreetMap data. A set of geoprocessing tools and models to download, extract, and upload vector data from and to the OpenStreetMap server. Customizations to the core editor environment in ArcMap to handle the OpenStreetMap tags inside the core Esri software. A conflict editor user interface to similar to the Reconcile Version tool for enterprise geodatabases. Once you have downloaded and extracted OpenStreetMap data, you can use the ArcPad Data Manager to export and import your data to and from an ArcPad Project. This means that ArcPad can be used to collect new features and edit existing data in the field and then import any edits back into your original geodatabase. The ArcGIS Editor for OpenStreetMap can then be used to upload your edits back into the OpenStreetMap server. If you are working in the open source environment, ArcPad can also be used to edit and create new features in shapefile datasets. There are many freely available tools that can be used to convert OpenStreetMap data to shapefile format, as well as tools that can be used to import shapefile data back to OpenStreetMap server. This allows you to leverage the power and professionalism of ArcPad for the field data collection and editing aspects of your OpenStreetMap survey projects. Either of these methods will allow you to use ArcPad to support OpenStreetMap and it's commitment to the growth, development and distribution of free geospatial data for anybody to use and share.